The following information has been compiled to help you understand the nature of a fire and how it can affect you. 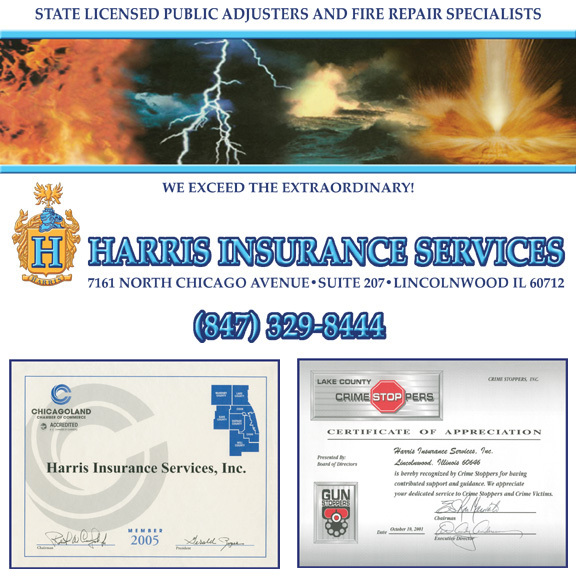 We at Harris Insurance Services understand that fire disaster is a traumatic experience for anyone and the following information is designed to help you understand the facts and statistics behind such an event. 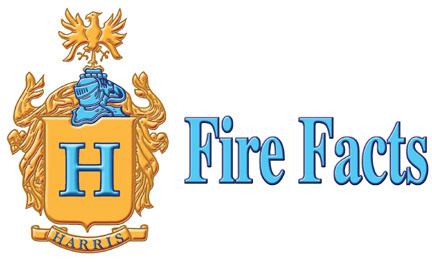 Fire is the fourth largest accidental killer in the United States, behind motor vehicle accidents, falls and drowning. It is also the disaster that families are most likely to experience. Over 80 percent of all fire deaths occur where people sleep, such as in homes or hotels. Most fires occur when people are likely to be less alert such as between midnight and morning. Eighty-four percent of house and building fires are accidental, such as those caused by poor electrical wiring or careless behavior. However, 16 percent are set intentionally through arson or acts of terrorism. 1. The leading cause of death in a fire is asphyxiation. Fire victims seldom see the flames. Fire consumes the oxygen in the air, thereby increasing the concentration of deadly carbon monoxide in the atmosphere. Inhaling carbon monoxide causes a loss of consciousness or death within minutes. 2. The heat from a fire can melt clothes and scorch the lungs in a single breath. At floor level, temperatures average about 90 degrees Fahrenheit, but at eye level rise to about 600 degrees. 3. House fires begin with a bright flame then quickly generate a black, choking smoke. It is nearly impossible to see through a thick cloud of smoke, so fire drill participants should practice evacuating buildings with their eyes closed. Get out as quickly and safely as possible. Use the stairs to escape, never an elevator. When evacuating, stay low to the ground. If possible, cover your mouth with a cloth to avoid inhaling smoke and gases. Close the doors in each room after escaping to delay the spread of the fire. If smoke is pouring in around the bottom of the door or if it feels hot, keep the door closed. Open a window to escape or to allow fresh air inside while you are awaiting rescue. If there is no smoke at the bottom or top of the door and the door is not hot, then open the door slowly. Stay out of damaged buildings. Return home only when local fire authorities say it is safe. Check that all wiring and utilities are safe. Contact your insurance agent. Don't discard damaged goods until after an inventory has been taken. Save receipts for money spent relating to fire loss. Heating devices such as portable heaters, wood stoves, and fireplaces demand safe operation. Use portable heaters in well-ventilated rooms only. Refuel kerosene heaters outdoors only. Have chimneys and wood stoves cleaned annually. Buy only approved heaters and follow the manufacturers directions. Newspapers, radio stations and local television channels can publish or present a series on how to recognize potential fire hazards in the home or in the workplace. They can run a story featuring interviews with local fire officials about how to make the home and the workplace fire-safe. They can provide tips on conducting fire drills in the home, mentioning the need for multiple escape routes and a meeting place outside the home. They can also highlight the importance of home smoke detectors by running monthly "battery-check reminders." Loss of life from fires has been significantly reduced because of improved technology for fire response and a better educated public - particularly regarding the life-saving advantages of using and maintaining smoke detectors. The United States Fire Administration reports a 5.9 percent reduction in deaths attributable to fires over the period of 1983 to 1990. On average, fires kill nearly 5,500 Americans each year. Over 30,000 people are injured in fires annually. In the United States, someone dies in a fire every 40 minutes. Most often, victims are the children or the elderly. Nearly 25 percent of the fires that kill young children are started by children playing with fire. Approximately 1.300 senior citizens die in fires annually. Approximately three-quarters of all fire fatalities occur in residential dwellings. Each year, fire causes over $2 billion worth of damage to homes.